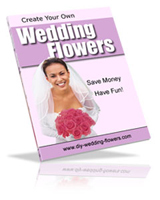 Want fast solutions to getting your wedding organised? Or do you just love working with flowers? Here are some products that you will find useful. Our step-by-step guide to making beautiful wedding bouquets and centerpieces. Save money and have fun. 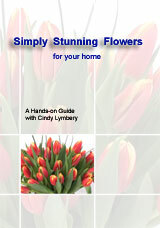 In this DVD, Cindy guides you through the process of making 6 eye-catching arrangements. If you love the idea of speaking, but are not sure where to start, this ebook is ideal. It’s probably the quickest and easiest way to crafting a great speech that will be treasured by you and your husband, as well as enjoyed by your guests. Why not co-ordinate your favors with your flowers? Here's lots of choice - you'll find plenty of rose, calla lily and spring flower favors etc. to match your theme.